Learn here how to fill the Lexmark # 44 cartridge with the process that is described here. The Lexmark #44 cartridge is a cartridge with which we can get about 700 pages after filling, for this we recommend following the procedure presented below. 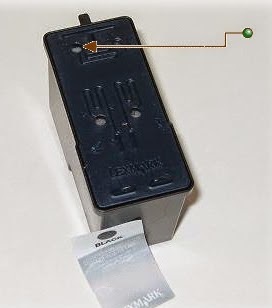 Study the procedure to fill the black cartridge Lexmark #44. Something we need to have always in mind is the ink we work with to fill the cartridges is difficult to remove from both hands and clothes, we have to put our cartridges in a place where it is easy to remove the ink spill, for this we recommend a smooth and easy to clean surface or a piece of black cloth.